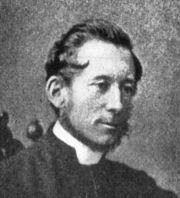 John Bacchus Dykes (1823-1876) is, by far, the single most widely-utilized composer of hymn tunes represented in Anglophone Lutheran hymnals. Perhaps you understand why I have put this essay off until now; it's going to be a long one. I have found almost fifty different tunes by Dykes in my survey so far. Dykes was an English hymn composer who wrote over 300 hymn tunes. 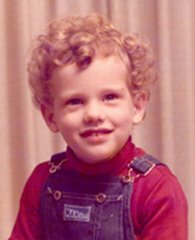 His musical talent flourished early; already at age ten he was playing the organ at the church where his grandfather preached. He studied at Cambridge, became an Anglican priest, and served for a while as choirmaster at Durham Cathedral. Later, while trying to introduce the high-church movement to his parish, he got into a scrap with his low-church bishop and appealed to the church courts for help. The strains of the process and his ultimate defeat broke his health and led to his death at age 52. A glance at the titles of Dykes's hymn tunes will show you the composer's veneration for church history and tradition. The English church remembers him as a leading composer in the "high Anglican style," which emphasized a sense of dignity and decorum while also appealing to the popular sentiments of the time. Let's cut to the chase and look at his work! I have found this tune in eight Lutheran hymnals, wedded to Henry Alford's hymn "Ten thousand times ten thousand." The text is a rapturous vision of the saints in glory, and a resolute prayer for the coming of Christ's kingdom. The tune is a supreme example of strident, martial pomp and circumstance, with overt and sutble similarities to Webb ("Stand up! stand up for Jesus"). It makes me think of marching bands. Every verse of Charlotte Elliot's hymn "My God and Father, while I stray," ends with the refrain "Thy will be done." Horatius Bonar's hymn "Great King of Kings, why dost Thou stay" has the refrain "Thy kingdom come." Both hymns have been set to this tune in at least one Lutheran hymnal. Meanwhile three books pair it with "O Lord of heaven and earth and sea," a stewardship hymn by Christopher Wordsworth whose stanzas end with variants on "Who givest all." Among the handful of tunes that fit the metre of these hymns, I don't think Almsgiving is the most successful. The rhythm of the last phrase strikes me as the chief weakness of this tune. This modest, quiet, perfect little tune deserves a revival. Several hymnals made use of it up until the 1950s, but it has slipped into undeserved obscurity since then. Texts that have enjoyed this tune's company include "Hark! a thrilling voice is sounding"; "May the grace of Christ our Savior"; "Praise the Lord! ye heavens adore Him"; and "Savior, breathe an evening blessing." All the Missouri Synod's Anglophone hymnals, plus the most recent WELS hymnal which toadies them, have paired this tune with Charles Wesley's hymn "O for a thousand tongues to sing." Because of my LCMS background I can't help regarding this as an indissoluble marriage of text and tune. However, other hymnals have used this tune with "Behold us, Lord, a little space"; "Jesus, exalted far on high"; "Jesus, my Lord, how rich Thy grace"; "My God, how wonderful Thou art"; and "Thou art the Way; to Thee alone". None of these pairings have lasted beyond one or two hymnals, though. So I maintain that this tune stands or falls with Wesley's hymn. The cento published in The Lutheran Hymnal seems to be a fine hymn of redemption in Jesus' blood and of justification by grace through faith, expressing this message in simple, straightforward terms. Perhaps others are more alert than I to suggestions or associations in this hymn that would disqualify it for Lutheran use. For my part, I would not object to using this text and tune together. I found this tune paired with "O bread to pilgrims given," the Ray Palmer translation of a Communion hymn elsewhere given as "O Bread of life from heaven." The hymn might be serviceable, though you have to look hard to find anything in Palmer's text that a Real-Presence-denying Reformed Christian would reject. The tune, however, is far too bland and unmemorable to do it any good. This monster is Dykes's setting of "Day of wrath! that day of mourning," a fearful prayer for deliverance in the hour of judgment which the Lutheran church has adopted from the Roman Catholic Mass for the Dead. The original Latin text, like many of its translations, has an unusual pattern of rhyming lines grouped in threes, and it covers a wide emotional range. Clearly, Dykes sought to dramatize this. The other hymnal settings of this hymn include a three-phrase hymn tune, a nine-phrase plainchant, and Ludwig Lindeman's similarly through-composed setting that is, nevertheless, more compact than this one. Dykes's setting stretches the definition of a hymn tune almost into the realm of cantata. It ends up being an awful lot of notes for a congregation to navigate through, and frankly, it isn't as effective as the alternate settings. I would not object to a choir singing Dykes's version, but it is the last tune I would ever choose to give the congregation. In at least five Lutheran hymnals, this is the tune for "The King of love my Shepherd is," a metrical paraphrase of Psalm 23. Since the tune's title is the opening of Psalm 23 in Latin, I fancy that is the text Dykes had in mind when he composed it. Several other tunes have also enjoyed a connection with this hymn, of which St. Columba has most recently emerged as a leader. While Dominus regit me might be an OK alternate tune, I doubt it would ever be used. It simply doesn't have the charisma to compete with St. Columba. Meanwhile, Dykes's tune has also been paired with "The Lord is near! why should we fear," suggesting that there may be life for it after Psalm 23. I would expect to see a tune like this in a section or book of children's hymns. This beautiful, warm, devotional tune goes with "Very Bread, good Shepherd, tend us," a Communion hymn translated from Thomas Aquinas. This hymn is either in one long stanza, or in two stanzas but with a whole different ending the second time. Plus, the music is quite sophisticated as compared to the average hymn. So I regret to say this song belongs more in the choir portfolio than in the hymnal. The congregation would spend all their time stumbling over the beautiful surprises of this melody, and never really learn it before it was over. This earnest, attractive, well-written tune appeared with the hymn "O Lord, my best desire fulfill" in the music edition of the Evangelical Lutheran Hymn-Book. Transposed down a step or so, it could be useful for a variety of hymns in the Common Metre. Each stanza of Elizabeth Codner's hymn "Lord, I hear of showers of blessing" ends with the refrain: "Even me." Not only does this explain the title of this tune, but it also sets a revivalistic, individualistic, decisionistic tone of inviting God and His blessings into my heart. This doesn't seem very helpful to the Lutheran church culture emphasizing corporate worship, the Means of Grace, and man's passive role in conversion. Perhaps this tune can be redeemed by association with a better text. Would it be worth the trouble? I would lay odds at 50-50. This simple, pleasant, unremarkable little tune could just pass as a hymn for children. It is in this capacity that it appears, in three hymnals, set to the text "Savior, teach me day by day." By the way, one hymnal adds a passing-note (G) at the end of the second phrase. Dykes wrote this tune to go with the hymn "Praise to the holiest in the height," an excerpt from John Henry Newman's poem The Dream of Gerontius. I have found better tunes matched to this hymn. Gerontius is stately, almost to the point of pompousness, unevenly inspired, and a little awkward here and there. Another text this tune has served is "Welcome, Thou Victor in the strife." Charles Wesley's children's hymn "Gentle Jesus, meek and mild" suits this tune well. It is a gentle and innocent melody, though perhaps a little arbitrary-sounding without the harmony. Not altogether without tricky bits, it might be a rewarding challenge for your children's choir. On the other hand, are you ready for the spiritual trial of teaching the children a hymn in which the phrase "Fain I would" appears more than once? On a more objective, doctrinal level, Wesley's text emphasizes sanctification and uses Jesus as an example. These tendencies go nicely with the moralistic tenor of most children's hymns. But we might do better to teach our kids songs about God's grace, love, and mercy in Jesus. This may be the most colorless of the three tunes associated with "Jesus, Lover of my soul" - notwithstanding the inert Martyn. It is well-structured, learnable, and even vaguely touching in its gentle serenity; but it is not particularly memorable. Nevertheless, four Lutheran hymnals have tapped it for Wesley's popular hymn of trust in God's mercy. The tune has also been paired with "Father, be Thy blessing shed" and "When along life's thorny road." This tune is one of a whole genre of tunes written to go with the hymn "Nearer, my God, to Thee" - or rather, with the several texts that begin with the same first line and, no doubt, are intended to be confused with one another. The version I found set to this tune was Henry Eyster Jacobs's "word and sacrament" spin on the old, revivalistic favorite. Personally, I question whether tampering with such texts is really worthwhile. Still, anything would be better than the approach taken by the editors of The Lutheran Hymnal (1941), who after surveying the many options simply threw up their hands and went with the original camp song, theological warts and all. This hymn is a cancer that must be cut out of the Lutheran body for its own good; and whether Jacobs's version is an improvement or a concession to the popular rage, it ends up being merely a "foot in the door" for Sarah Flower Adams's singularly Christ-less, sentimental, uncertain, decisionistic, and pietistic, original hymn. As for Dykes's tune, pretty as it is, it won't be missed. Two books paired this fairly dull stick of pomp and circumstance with Reginald Heber's hymn, "Hosanna to the living Lord," adding to each verse the redundant refrain: "Hosanna, Lord! Hosanna in the highest!" This is not Dykes's best work. I prefer singing this hymn to Vom Himmel hoch. John Ellerton's hymn, "The hours of day are over," has been set to this well-written tune, which owes much of its effectiveness to its rich, warm harmony. It has a yearning, twilight sound that might do great credit to your church choir at the end of a Vespers service, but as a singing tune that a congregation could learn and remember it leaves much to be desired. The tune is named in honor of English poet and Oxford movement luminary John Keble, but the text I found paired with it ("Almighty Father, heaven and earth") isn't by Keble. Nevertheless, this is an appealing, honest tune just waiting to light up a Large Metre text. In one hymnal, this tune is paired with Isaac Watts's hymn "Come, let us join our cheerful songs," which I have elsewhere found more happily paired with Nun danket all. In another book, Laud is one of three tunes chosen for "All hail the power of Jesus' name." Jammed between William Shrubsole's Miles Lane and Oliver Holden's Coronation, Laud seems very pale indeed. Either of those alternate tunes could come to mind when this hymn is mentioned, but no one thinks of Laud. To be sure, it's a dignified and attractive tune, though best appreciated in full harmony. It simply doesn't impress itself on the mind as the Shrubsole and Holden tunes do. Here is another tune for a hymn by Catholic mystic John Henry Newman: "Lead, kindly Light," found in three Lutheran hymnals of the past century. This combination of text and tune reminds me of the marriage of "Be still, my soul" and Finlandia by Sibelius. Both have the same feminized phrasing, the same atmosphere of intimate, personal devotion, and the same tender glow of subjective sentimentality. They are both very lovely pieces that a choir might sing beautifully, but that sound silly when sung by the average congregation. The Newman poem is interesting in that it never explicitly names the entity it addresses; things only come into clear focus when the speaker confesses his own spiritual ailments, if even then. One gathers that the final stanza speaks metaphorically of death; it's hard to guess what else it might mean. Frankly, I think Lutherans should leave hymns like this alone. They may ignite a warm glow of sentimental feelings in our hearts, but do we really know what we're singing about? Also known as Navy Hymn, this tune is widely associated with the William Whiting hymn "Eternal Father, strong to save," whose stanzas famously end with a plea "for those in peril on the sea." More recently stanzas have been added petitioning for each of the other armed forces. This can make services of prayer in a time of war a bit tiresome, since nobody can stop until every branch of the military has been recognized. The tune's celebrity is well deserved. It is a magnificent specimen: warm, graceful, and dignified, and full of interesting, memorable features. Other texts associated with this tune include "Creator Spirit, by whose aid"; "Dear Lord, to Your true servants give"; "How fair the church of Christ shall stand"; "When streaming from the eastern skies"; and, in no fewer than four hymnals, "My hope is built on nothing less." The marriage between this tune and Reginald Heber's hymn "Holy, holy, holy, Lord God Almighty" seems to be universally recognized. How many Lutheran hymnals use this pairing? All of them. It is one of the best-known hymns in English-speaking Christianity, and I know of no other tune it has been set to. A pastor can confidently select this hymn for a chapel service at a hospital, nursing home, or military base and expect people of all denominational backgrounds to know it. The tune is a paragon of slow-good, Romantic pomp and circumstance that can be adorned with full organ accompaniment and instrumental or choral descants (one hymnal even includes a descant for it). For all its familiarity and catchiness, people still stumble a little over the slight difference between the first and third phrases. I didn't like this tune at first, but I'm beginning to come around. It's an interesting and attractive piece, and when paired with "Draw nigh and take the body of the Lord," it saves the tune Old 124th (which, properly speaking, has five phrases) from being butchered to fit this text. Another hymn set to this music is "O God, I love Thee; not that my poor love," E. H. Bickersteth's translation of a Latin poem (possibly by Francis Xavier) which, in turn, was allegedly translated from a Spanish hymn. This is an interesting text, and I would welcome discussion of it. It says the cross of Christ is the crucial expression of God's love, and the true basis for our love of God. But it may say more than that: it may also mean that a true Christian's devotion to God must not be motivated chiefly by the fear of hell or the hope of heaven - which, some might argue, sets God-pleasing faith out of the reach of any but the most exceptionally devout Christian. Look it up in Service Book & Hymnal 489, or Common Service Book 58, and let me know what you think! This is an alternate tune for "Now the laborer's task is o'er," the funeral hymn (with an alternate ending for burials at sea) that was also set to Barnby's tune Hebron. At the outset it seems a nice tune, but the ending is rather strange. Should you try to hum it to yourself, it might help to know that the last two phrases carry the refrain: "Father, in Thy gracious keeping Leave we now Thy servant sleeping." Oh, what a boring tune! And yet it has snagged three different hymns: "Father of heaven, whose love profound"; "O Love, how deep, how broad, how high"; and "With broken heart and contrite sigh." Better tunes for each of these hymns immediately come to mind, respectively: Angelus, Deo gracias, and Jeremiah Clarke's St. Luke. The tune for Francis Scott Key's hymn, "Lord, with glowing heart I'd praise Thee," is not altogether to my taste. Dressed in its full harmony, it takes Romantic sentimentality to a theatrical level. However, I have to admire the clever structure of the melody, which makes maximum use of a minimum of material. It's a well-crafted tune that, in today's ears, would probably sound as dated as a sepiatone photograph. Another text I've found set to it is "Hark! the sound of holy voices." Godfrey Thring's evening hymn, "The radiant morn hath passed away," is set to this tune in the old Lutheran Hymnary. It succeeds where Almsgiving came up wanting. The challenge for any tune in this metre rests on the effectiveness of its brief, final phrase. Though Shoreham's last four notes are nothing special in themselves, they emerge naturally and conclusively from the preceding phrase and highlight the charm and clean-cut structure of the whole melody. The same could be said for Thring's poetry. Godfrey Thring wrote a very effective hymn based on the story of Jesus stilling the storm; this is Dykes' tune for it. Modest and simple in its dimensions and material, it somehow conveys both drama and peacefulness, urgency and trust. Few tunes communicate so much with so little melodic activity; the harmony, indeed, plays an important role. This is the ideal hymn for the Fourth Sunday after Epiphany, where the lectionary contains this story. The hymns "O Jesus, King most wonderful" and "Jesus, the very thought of Thee" are each set to this tune in five Lutheran hymnals. Other hymns that have imbibed this tune's gentle joy include: "Come, Holy Spirit, heavenly Dove"; "Father of mercies, in Thy word"; "Jesus, Thou art my Righteousness"; and "Lamp of our feet, whereby we trace." This tune is named after St. Anatolius, who wrote the hymn "The day is past and over" in the 8th century. Four hymnals, including the Common Service Book, set this hymn to the tune St. Anatolius by A. H. Brown. The same-named tune by Dykes appears only once in Anglophone Lutheranism, also in CSB, as an alternate tune for the same hymn. The reason Brown's tune gets more play is that, frankly, it's better. Dykes's go has a nice harmonic plan, but the melody sounds strange and incoherent, like the output of a random musical phrase generator. Two hymnals (CSB and SBH) pair this tune with St. Andrew of Crete's hymn, "Christian, dost thou see them." Nice how that works out, eh? CSB offers Josiah Booth's Holy War as an alternate tune. Both tunes, like Dykes's own Vox dilecta, switch from the minor to the major key halfway through - an effect that suits the text, in which each stanza begins with warning and ends with promise. However, Dykes's tune is destroyed by its obsessive monotony - two whole phrases of the same note - reminiscent of the worst of Joseph Barnby. Holy War is somewhat better, but neither tune holds a candle to the alternate tune in SBH, Gute Baeume bringen. If this hymn is suitable for use in the Lutheran church - a question I am willing to discuss - it is this last tune that I would recommend for it. Sometimes I wonder why Dykes was so determined to generate maximum melody out of a minimum of notes. Perhaps it had something to do with betting at the pub across from the cathedral. For whatever reason, he seems to have kept experimenting with phrases that contain only two or three pitches, like the first and last phrases of St. Bees. Fortunately, this tune opens up in the middle, like a bud in springtime. It does no harm to the hymns "Jesus! name of wondrous love" and "Lord, to whom except to Thee." I suppose it would work nicely with any available tune in the 7777 metre. I often think that Dykes and Isaac Watts were kindred souls. It is to Watts's Maundy Thursday hymn, "'Twas on that dark, that doleful night," that this tune is most happily wedded. It also has affinities to other passion and confession hymns, such as: "O come, and mourn with me a while"; "'Tis finished! so the Savior cried"; and "With broken heart and contrite sigh." The tune is solemn, deliberate, and reverent; but best of all its beauties is that it avoids sentimentality. 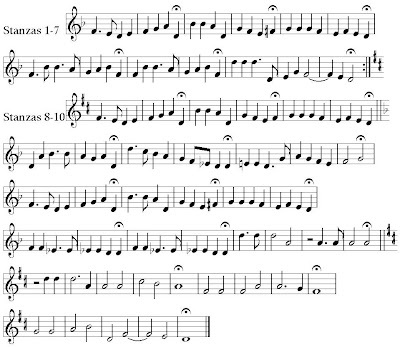 The first three phrases of this tune give one the impression of a fairly ordinary, but sturdy, little tune. The last phrase spoils it with its inconclusive conclusion, giving the whole melody the sound of something weak and ineffective, like a faded and wilting nosegay. Harriet Auber's Pentecost hymn, "Our blest Redeemer, ere He breathed," is somewhat of the same character: soft, delicate, vaguely sentimental, and essentially colorless. The pattern that I see emerging shows that Dykes had the gift of matching his music to the style of each text; unfortunately, he did not show much discernment as to which texts to treat. In the race to become psychologically wedded to Henry Milman's Palm Sunday hymn, "Ride on! ride on in majesty," this tune runs neck neck-and-neck with Winchester New. Please forgive the irresistable pun. Meanwhile, another tune (The King's Majesty) written specifically for that hymn has turned out to be so unpopular that the new hymnals are "scratching it" and going back to the old favorites. You may be surprised to know that TLH was the only hymnal before the 1990s to favor Winchester New for "Ride on." So, from a pan-Lutheran perspective, St. Drostane is the chief tune for this hymn. And in my opinion, it deserves to be revived. It is an interesting, strong, dignified, memorable tune with a strong attachment to this text. Meanwhile, Winchester New has served at least 10 different hymns! This is an adequate tune in the Hallelujah Metre (6666 88) which has served a variety of texts, including: "Arise, my soul, arise"; "Author of life divine"; "On what has now been sown"; and "The atoning work is done." I daresay there are HM tunes that move along with a bit more energy, but this one is pleasant enough. This tune, also known as Ecce Agnus, should not be encouraged with the unattributed tune of the same name (also known as Adoration), which is in HM. The Dykes St. John has been paired with Matthew Bridges's Passion hymn "Behold the Lamb of God," elsewhere (and more happily) set to another Ecce Agnus which, in turn, is adapted from an old Christmas chorale called Wir Christenleut. A diagram would help, but I don't have time to draw one. So, just take my word for it: any other tune mentioned in this paragraph is superior to St. John by Dykes. Though it is a memorable enough tune, it is also theatrical to the point of awkwardness, using changes of metre and key (minor to major) to express the drama of the text at the expense of the congregation's ability to sing it. Three hymnals pair this tune with "In the hour of trial," a touching Moravian hymn with a rare theology of the cross. The WELS hymnal interestingly places this hymn in its Lenten section; I think it could also serve as a hymn for children, whose lives (as we all know) are not all sweetness and joy. The tune is simple and well-structured, with a subdued feeling; one might even speak of blandness, but I would rather stick to "subdued feeling." This is a bright, energetic, classical-sounding tune that I have found paired with "Here in Thy name, eternal God" and "O Christ, our true and only light." It comes complete with one of those "Anglican twist" effects in the third phrase, which can do a lot to popularize a simple tune like this. The Evangelical Lutheran Hymn-Book pairs this tune with a verse paraphrase of the Gloria in excelsis, "To God be glory, peace on earth." In a more indirect way, the same book also links "Through all the changing scenes of life" to this tune. It is a mildly interesting, pleasant tune that shouldn't be too difficult for the average congregation to learn. This tune is reminiscent of Dykes's own Elvet, but not as good. Once paired with "O Lord, whose bounteous hand again," it is a bright, dignified, but uninspired tune that seems to go nowhere in particular. This impression is reinforced by one serious structural gaffe: the "Anglican twist" comes far too early in the tune, with the result that tune seems to "fizzle out" over the three subsequent phrases. This tune was written for the Latin hymn "O Strength and Stay upholding all creation," attributed to St. Ambrose. I found this text-tune pair in at least two Lutheran hymnals, where it serves as a prayer that the unchanging God would guide us through life's changes. Other texts paired with this tune include "O God of light, Thy word, a lamp unfailing" and "We are the Lord's." Though no Lutheran hymnal sets it to this tune, the wedding him "O perfect Love" was written with it in mind. It is a noble, handsome tune that has not been heard much lately. I would be interested to hear it given another try. Not to be confused with the same-named tune by Walter S. Gilbert, this very attractive and interesting tune has rubbed up against a number of hymns, including: "Come, Holy Ghost, our souls inspire"; "My Hope, my All, my Savior Thou"; "O Light, O Trinity most blest"; "When Israel through the desert passed"; and "Where cross the crowded ways of life." If you hum the melody alone, you may recognize in the third phrase what I call the "Anglican twist" (V/IV-IV in the notation of harmonic analysis), a familiar gesture in high-Anglican music that is often very effective. The real surprise comes when you hear the harmony, in which this phrase goes farther afield than you expect. The Common Service Book gives this as one of three tunes for "Come, Holy Ghost, our souls inspire," complete with a two-phrase coda to be sung after the last stanza. It's a nice enough tune, though I think the plainsong Veni Creator Spiritus, or the chorale Komm, Gott Schoepfer derived from it, is more than adequate for this hymn. Perhaps Dykes's tune could be paired with another Long Metre hymn. This tune, once paired with the hymn "When the day of toil is done," has a restful, soothing, upward-reaching sound. It also has some tricky intervals, smarmy chromaticism, and a final phrase in which the melody hovers along on the fifth of the tonic chord. In the 19th century this last item was a stock musical gesture for peace, but in today's ears it might sound monotonous and inconclusive. Not to be confused with the same-named tune by C. G. Liander, this tune has been paired with Adelaide Procter's hymn "The way is long and dreary," in which the last three phrases of each verse are the refrain: "O Lamb of God, who takest The sin of the world away, Have mercy upon us!" If ever there was a hymn text unworthy of being published and pushed on singing congregations, it was Ms. Procter's manipulative, melodramatic doggerel. And if ever there was a tune with a split personality, it was this tune by Dykes, which begins with six phrases of unremarkable, but not unpleasant, pomp and circumstance...then transforms, like Jekyll into Hyde, into a very stupid piece of barbershop buffoonery. I would be embarrassed to be made to sing this hymn. If I didn't know better, I would say someone has been composing forgeries in the name of Dykes. The mediocrity of this tune, with or without its full accompaniment, is shocking after such masterpieces as Melita and Nicaea. But it is consistent with the text, Anna Warner's hymn "We would see Jesus." The music actually has a fermata after these words at the beginning of each stanza, though it falls in the middle of a phrase. This only underscores the mushy subjectivity and sentimental abstractions that pervade the text. What Warner means by "seeing Jesus" is left to one's imagination; some spiritual or symbolic vision, apparently, since His actual presence in Word and Sacrament is never mentioned. Part of the hymn, at least, is a renunciation of the fleshly desires and joys that bind us to this world; but it thereby also suggests that our future union with Jesus will be spiritual only. Finally, it is one of those hymns that overflows with words, but that never manages to state anything definite - the worst that Romanticism can offer. And instead of lifting us out of it, Dykes's music forces us to wallow in its smothering embrace. If hymns could kill, this one would be dangerous. Six Lutheran hymnals favor this melody for Horatius Bonar's hymn "I heard the voice of Jesus say." The minor/major key change at the midpoint of the tune highlights the unique structure of the hymn, in which each stanza begins with Jesus saying something, and follows up with the result. Though, overall, it is a lovely tune and incredibly dramatic, I have never felt it was in the best of taste. More than one hymnal has offered as an alternative the much-superior Third Note Melody by Thomas Tallis (a Renaissance tune made famous in the orchestral fantasia by Vaughan Williams). Conclusion: Like him or lump him, John B. Dykes is here to stay. Many of his hymn tunes pervade the culture of Anglophone Christian hymn-singing, the Lutheran church included. Some of them are quite excellent, and I would even advise reviving several little-known gems: solid, objective, worshipful melodies that could serve a variety of hymn texts. But Dykes was chameleonic. Hand him a rubbish hymn and he would compose a rubbish tune to suit it. Beware of those hymns, and don't let them sink their roots into the soil of our Lutheran singing heritage!